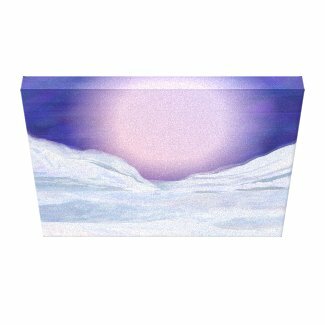 I originally posted my Untouched Snow Holiday Card to my Zazzle Shop in November of 2008 but the artwork is much older, probably from about 2001. That was when I first started experimenting with digital art with a now obsolete program that came with a now obsolete computer. I later went back and improved on many of those early works when I got better tools but this one didn't seem to require it. 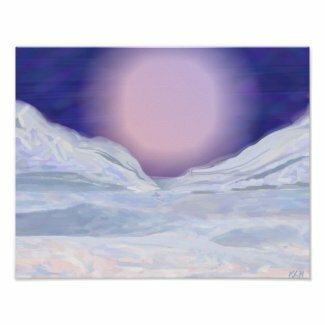 It was inspired by the feeling I used to get as a kid when I would wake up in the middle of the night and look out my window to see a fresh blanket of snow under the moonlight. 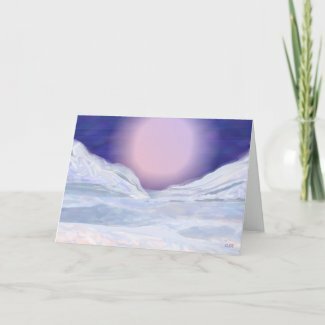 I have a few of the "blank inside" version of these cards in my home inventory because they are suitable for almost any winter occasion or late additions to someone's Christmas Card list. 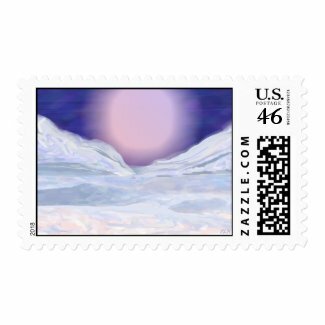 Learn ways to make money as an artist on Zazzle.